Last week, XYZ was honored with two out of four Timmy Awards: one for Best Tech Workplace for Diversity, and another for our CEO, Daniel Negari, as Best Tech Manager. This was following an already eventful September, which included speaking at the Marketplace Master automotive conference, an appearance at TechDay LA 2017, meeting with GoDaddy at their new office in Hiawatha, and catching up with our partners at WorldHostingDays. 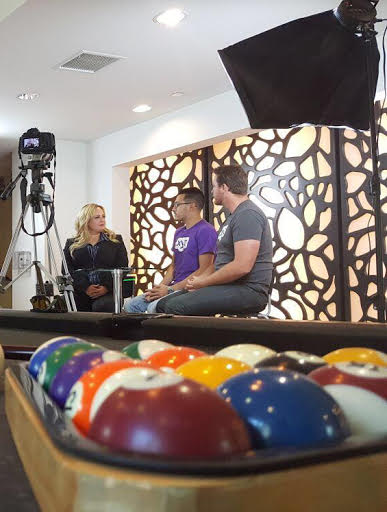 Check out our event recap video below to watch all of September’s great moments! 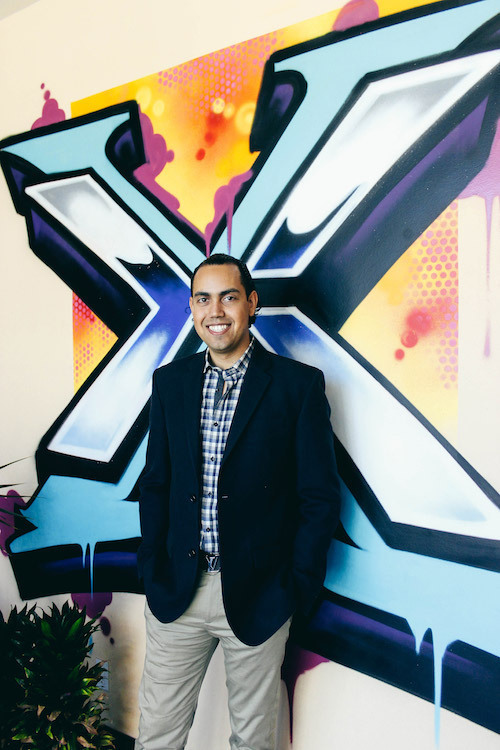 XYZ and CEO Daniel Negari were both recognized as leaders in the tech community with two Tech in Motion Timmy Awards – for “Best Tech Workplace for Diversity” and “Best Tech Manager”. Being selected from a field of more than 120 nominees and joining previous winners like Constant Contact, Dollar Shave Club, Venmo, and Trip Advisor was an incredible honor for us. The Marketplace Master conference in Dallas, Texas, drew hundreds of car dealers from around the country. Shayan addressed attendees in his keynote, titled “Increase SEO with Digital Automotive Real Estate,” and spoke on a panel about successful digital marketing strategies for dealerships. 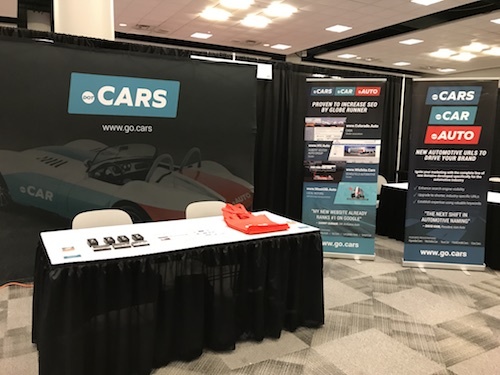 Dealers learned firsthand about the benefits of .Cars/.Car/.Auto domains, and even interacted with one the whole week, since the conference’s official website was MarketplaceMaster.Auto. Get your .Cars/.Car/.Auto domain today! GoDaddy has always been a great partner for us, and we reached a big milestone together when we passed 100,000 .xyz domains at GoDaddy in September 2016. Fast forward to September 2017, and there are now nearly 200,000 .xyz domains registered at GoDaddy! The timing was also appropriate, since we were just at their newly renovated office in Hiawatha, Iowa to discuss strategy for the year ahead. 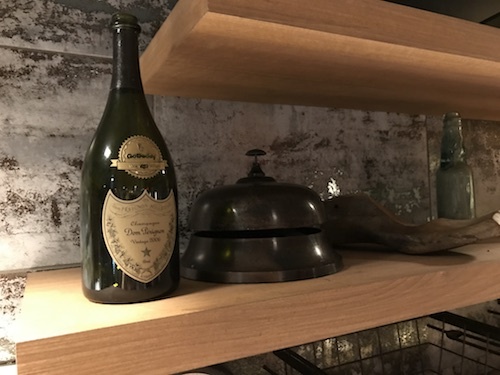 We were also excited to find last year’s celebratory gift on display, albeit empty. Thanks again for a great time, GoDaddy! 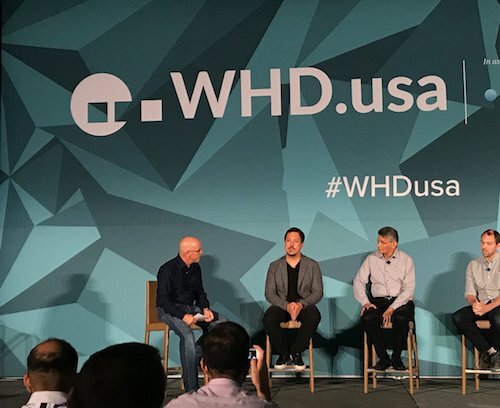 WorldHostingDays USA drew hosting and cloud professionals from across the internet to Las Vegas. We saw GoDaddy’s CEO, Blake Irving, moderate an interesting panel with hosting giants like Intel, and had many great meetings with our retail partners. Be sure to subscribe to our newsletter to get notified about our October sales! The #XYZsquad also made an appearance at TechDay LA to mix it up with startups and entrepreneurs. 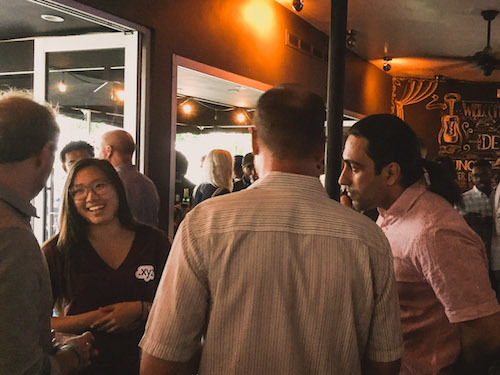 It’s always fun to help new businesses pick out their .xyz domains, as well as run into some of our loyal customers at the event. We first met Majesty Alliance, a new platform connecting investors with startups, at TechDay LA. They loved .xyz and Generation XYZ community so much that they even invited us to do an interview with their CEO a few weeks later. The interview covered a ton of great topics to help entrepreneurs kick off their businesses, so stay tuned for the full interview coming to our blog soon! 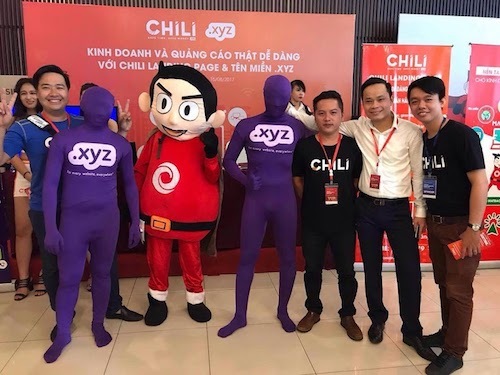 XYZ also made an appearance at the Vietnamese Online Marketing Forum with our partners at MatBao and ChiLi. 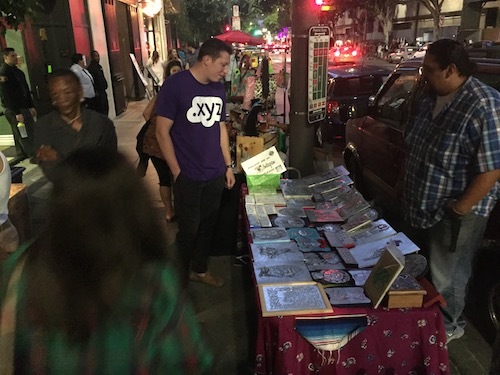 Attendees of the show received special deals on .xyz domains with website builders, as well as limited edition MatBao/XYZ swag. And VOMF was just the beginning – XYZ will be at many more events in Asia next month! September was a great month for XYZ and we have a lot in store for October, so be sure to come back next month for all the amazing highlights. In the meantime, remember to check the XYZ blog every Wednesday to read our #WebsiteWednesdays, and get daily updates on Facebook, Instagram, and YouTube! Follow XYZ on Instagram for more! Sissi Goetze is one of Germany’s most sought after men’s wear designers. Goetze.xyz’s clothes have been featured in Vogue, GQ, Elle, TenMag, ZOO Magazine, Men’s Health, and more. She’s been interviewed by i-D Germany, has her own perfume, GOETZE, created with famous perfumier Mark Buxton, and has been featured by We Shall Run, and Not Just A Label. 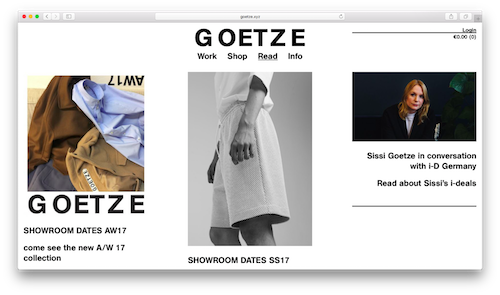 So when Goetze wanted to stand out online as much as her groundbreaking collections, she made a .xyz website. Goetze’s designs draw influence from disparate, iconic male archetypes. The resulting synthesis produces simple, elegant menswear or unisex essentials with architectural aspects and contradictory elements. Goetze’s clothing has taken the fashion world by storm, and has earned Sissi accolades and features in the Mercedes-Benz Fashion Week, London Fashion Week, and Berlin Fashion Week. 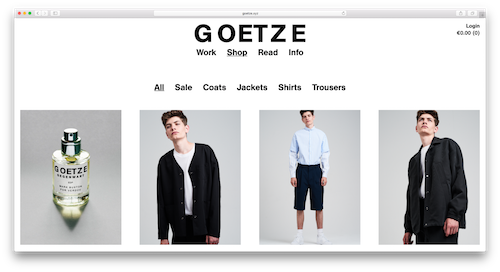 Goetze.xyz and the corresponding branding effort make an excellent case-study for the effectiveness of a LastName.xyz domain to unify marketing across platforms seamlessly and affordably. It shows that creators around the world are turning to .xyz not only as a unique way to display their work, but to increase views as well. Sissi Goetze’s work can be found internationally, but only Goetze.xyz has everything. If you’re interested in following Sissi Goetze, sign up for her newsletter or connect with her on Facebook (@goetzexyz) and Instagram (@goetze.xyz). For more amazing .xyz users, follow XYZ on Instagram. JHill.xyz is the online home for all of Jason “J” Hill’s artwork. 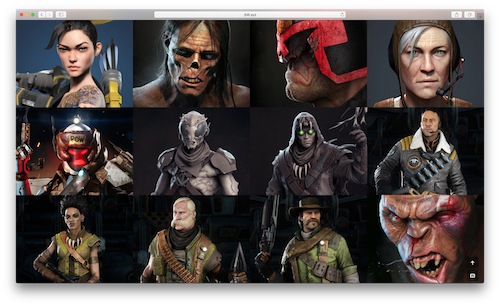 A senior character artist for Respawn Entertainment, you can find J’s artwork in games like Titanfall, Titanfall 2, and Evolve. But the only place to find all of his projects is through JHill.xyz. 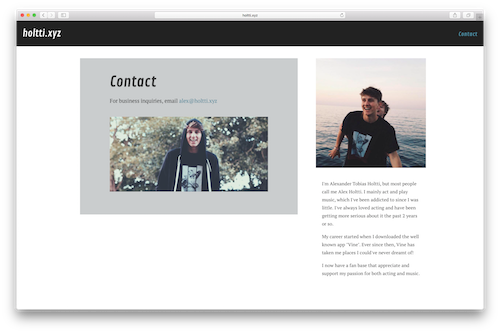 JHill.xyz is a perfect example of an artist using their .xyz domain to give their portfolio a personalized, professional look. J used to have his work scattered across the internet on various portfolio sites. By choosing JHill.xyz, he centralized his online presence and gave his fans a proper portal to his work, opening up his ability to connect and expanding his opportunities to get noticed. Though J is a digital artist and sculptor whose art has primarily appeared in video games, J also produces how-to videos for thousands of subscribers on YouTube. He makes videos to “motivate people to follow their interests, to grow their passions, and to pursue their interest in art and design.” From complex, technique-driven videos on rendering and ZBrush sketching, to basic videos about anatomy, proportions, and surface textures, JHill.xyz has tutorials any artist could want, no matter their skill level. Original creations and iconic monsters fill his portfolio, many of which have had their creation process broken down into simple steps to help others grow similar skills. You can follow all of J’s projects on Instagram, Twitter, Youtube, Twitch, and Facebook. To see more amazing artists that use .xyz domains, follow XYZ on Instagram. Get in character on JHill.xyz! It is important to have a space to call your home, but building a house can become a prohibitively expensive and lengthy undertaking. But what if there were a way to reduce the costs, simplify the design aspect through intelligent software, expedite the process through 3D imaging, and complete the project quickly? This week’s #WebsiteWednesday does all that and more with the mission of becoming India’s most recognizable home design brand by 2020 – DesignCafe.xyz. 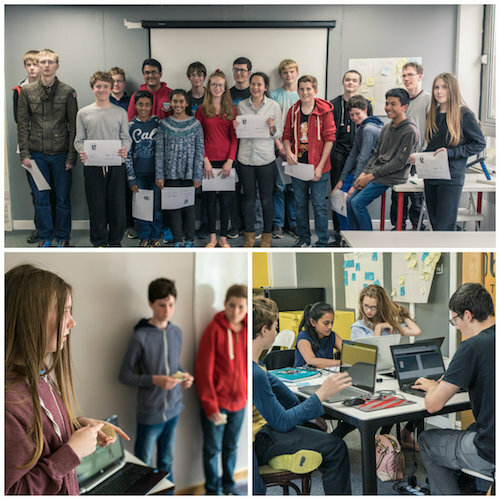 Using patent-pending technology, DesignCafe.xyz takes home design from concept to completion in under 100 days. Founded by an architect and an interior designer who wanted to extend customized homes to India’s middle class, DesignCafe.xyz’s memorable domain and unique 3D design software has found major appeal among India’s Generations X, Y, and Z. Users of DesignCafe.xyz can choose from hundreds of existing designs named creatively such as “A Concrete Love Affair” and “A Bachelor’s Dapper Pad”, or create 3D designs from scratch. That kind of success in India has lead numerous investors to approach DesignCafe.xyz. According to the Economic Times of India, DesignCafe.xyz has already raised a multi-million-dollar round of funding from Fireside Ventures, in addition to investments from Sprout Capital, and angel investors Apurva Salarpuria and Sidharth Pansari. In an interview with BW Disrupt, co-founder Shezaan Bhojani didn’t sound worried that all their success will go to their heads. In fact, Shezaan mentions that an even larger Series A round of funding is in their future. DesignCafe.xyz has ambitious plans to expand further and open more of their innovative design experience centers, revolutionizing the home-buying across India. 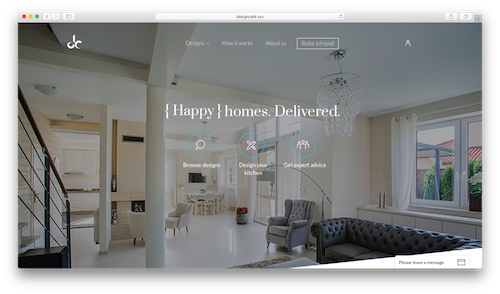 With an integrated supply network that allows them to produce and furnish a house in under 100 days, and a highly memorable keyword domain to support their brand, DesignCafe.xyz looks poised to succeed. To follow DesignCafe.xyz’s success, check them out on Twitter and Facebook! We are excited to announce that over 2,700 (nearly 90%) of our variably priced premium .xyz domains have had their prices permanently reduced at the wholesale level. That means that the create, renewal, and transfer fees for some of the best .xyz domains you can think of have their lowest prices ever! Did you know you could save hundreds, thousands, or even millions of dollars by registering a .xyz domain instead of the equivalent name in another ending? For example, Auction.com sold for $1.7 million in 2009, while Auction.xyz can be registered now for just $550/yr! If you’ve been thinking about getting one of these limited .xyz domains, now is your best chance to get the perfect name (or names) at the right price. But you’d better hurry – your favorite might not be around for long, so head over to your registrar of choice now! Note: Most registrars have already updated their sites to reflect XYZ’s new wholesale pricing. Please contact us about registrars with old pricing. It’s always a good idea to invest in your education, especially if that means learning new skills relating to technology. In today’s job market, technical skills are always valued highly and in constant demand. That’s why this week’s #WebsiteWednesday is a school that is providing students with the skills they need to thrive – NXTLVLAcademy.xyz. 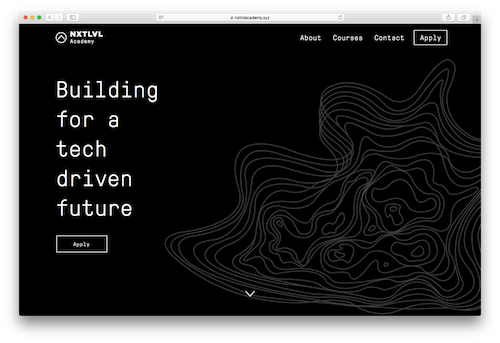 NXTLVLAcademy.xyz is a learning institution based out of Manila, Philippines that specializes in teaching tech skills. NXTLVLAcademy offers classes in data science, web development, UX design, and digital & social media marketing. The Academy takes a hands on approach to both learning and teaching, ensuring that students have the practical experience they need for the job market. This well-rounded mix of classes also ensures that students have the skills they need to start building their careers, or even start their own businesses. NXTLVLAcademy is another great example of #GenXYZ members using their .xyz domain to help others succeed. If you happen to be in the Philippines, make sure to stop by and learn some new skills! Creating animated 3D content requires in-depth know-how and experience. To go from idea to finished product usually means involving an animation studio at some point. This week’s #WebsiteWednesday has worked with international brands, created feature films, and won awards like the SWR Audience Award at the 2017 Stuttgart Festival of Animated Film (ITFS). The next time you need a digital animation project done right, check LUMATIC.xyz. Located in Berlin and run by a team of award winning filmmakers, 3D artists, and animators, LUMATIC.xyz has been turning clients’ ideas into gorgeous moving images in a variety of art styles since 2008. With a domain that doesn’t constrain their vision, they’ve produced short films and commercials for international brands like Playmobil and Nike, and regional brands like Infoscreen Austria, Companisto.com, and DMAX. LUMATIC.xyz also produced the opening credits for the feature film Feuchtgebiete (Wetlands) (2013). LUMATIC.xyz strives to be known for unforgettable art and their diverse capabilities. Recently, LUMATIC made an appearance at SIGGRAPH 2017 to show their short film, The Common Chameleon. That same short film won the SWR Audience Award at the 2017 Stuttgart Festival of Animated Film (ITFS). With their .xyz domain, LUMATIC.xyz is able to show off their versatility. LUMATIC.xyz uses their .xyz domain to stand out both online and through social media. Check them out on Twitter to see updates on their projects and partners. For more about their awards and appearances, like their Facebook and to watch all of their short videos and tutorials, find them on Vimeo. .XYZ domains are versatile commodities, capable of being used in all manner of ways. They are the obvious choice for a website, whether it’s your first, or fortieth domain. But there’s more to a URL than a simple web address. Check out some use cases below to see just how useful a .xyz domain can be. 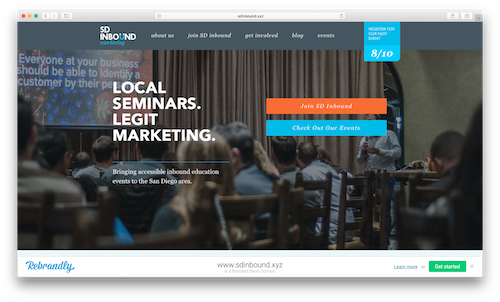 SDInbound.xyz has stepped in to offer low-cost or free networking and educational opportunities through seminars, meetups, webinars, and conferences for San Diego’s flourishing professional community. The group is one of San Diego’s largest, and aims to help marketing professionals of all levels continue to learn and grow their skills. But beyond their website, SD Inbound has employed Rebrandly’s free URL shortening service to keep their .xyz links short, recognizable, and easier to access. This gives their content a cohesive look across their site, blog, social media, and even when linking to partners and affiliates. Become cleaner with a .xyz redirect…. Can still be shared on social media with the main SDInbound.xyz redirect. These are only some of the ways to use .xyz domains for redirects – the only limit is your imagination! 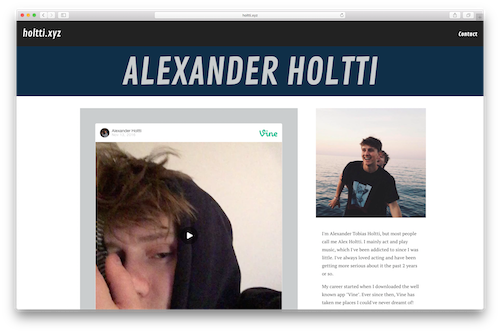 Holtti.xyz is the central source for all things related to Alexander Holtti, the social media superstar. Holtti is most well known for his videos on the platform Vine, which attracted more than 3.5 million followers. Now, you can catch him performing for his 460,000 YouTube subscribers and 390,000 Instagram followers. And if you want to be like Alexander Holtti, you too can get a .xyz domain to use for not just your website, but for your personal email address too. It’s pretty common for individuals to register either their FirstName.xyz, FirstNameLastName.xyz, or LastName.xyz for their personal websites and portfolios. Our favorite is LastName.xyz, because that allows you to create a cool FirstName@LastName.xyz email address, like Alex@Holtti.xyz. Best of all, you can then create personalized email addresses for your whole family (tip: these make for great stocking stuffers around the holidays)! 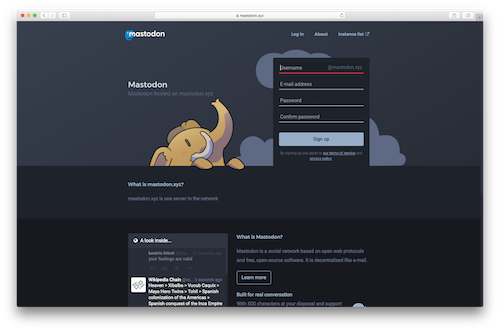 Our final non-traditional domain use case comes from Mastodon.xyz, a decentralized conversation platform that lets people start their own discussions on their own terms, giving users an unprecedented level of control. If you take a look at Mastodon.xyz, you’ll see that they use .xyz domains for many of their most popular instances! 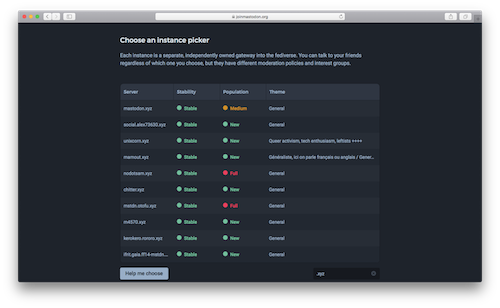 Instances are core building blocks for Mastodon, allowing the network to stay decentralized and diverse. Mastodon uses .xyz domains as unique server access points so that other people, who wish to create a chat, can use the domain as an address without having to operate all the back-end technology themselves. This means Mastodon.xyz is capable of staying online longer and being accessed easily by people all around the world, giving the network a leg up in areas with limited Internet access or tight policing. Best of all, this unique use of .xyz domains can be copied and employed by anyone who wants to create their own instance! Five nations in Asia – Pakistan, India, Malaysia, Indonesia, and Vietnam – celebrate their respective independence days in August and early September. To celebrate, XYZ has joined with regional registrars to run special, limited-time sales. Can’t decide how best to express yourself online? Check out the following .xyz websites from each of the five countries for inspiration and ideas. OzStudios.xyz is a multifaceted designer from Islamabad specializing in 2D animation, UI design, and creative branding. 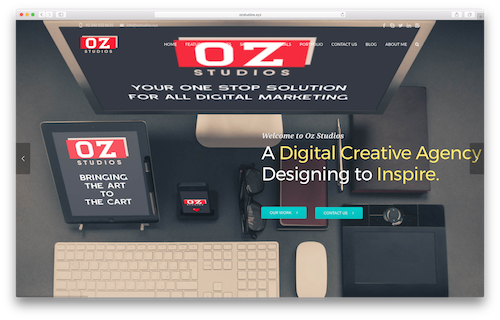 Using a concise and expressive .xyz domain to express his ideas and passion, OzStudios.xyz is able to display his design skills and impressive client list, which includes diverse companies like Twitch, Puma, YouTube, ASOS, and Adidas. He also uses his .xyz domain for a professional email address. If you’re looking for a memorable designer in Pakistan, reach out to contact@ozstudios.xyz. To celebrate Pakistan’s Independence Day, PakNic is running a special to commemorate Pakistan’s 70 years of independence. Visit PakNic and get your .xyz today! 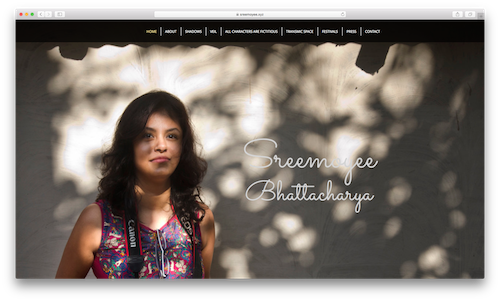 Sreemoyee Bhattacharya is an award winning filmmaker from Kolkata whose films have been screened at, and taken home awards from, festivals around the world. From Cannes to Raindance, The New York South Asian Film Festival to the Kolkata International Short Film Festival, Sreemoyee’s films have been well received all over the world, and with her unique FirstName.xyz, her work will stand out online as well. Sreemoyee has received press mentions from The Times of India, authors on the blogging platform Medium, and many others. Sreemoyee has a strong social media presence on Instagram, Facebook, and Twitter. Check out her profile and follow @xyz on any of these channels. Take a look at Indian registrar DForDomains sale below and check out Sreemoyee.xyz for all of Sreemoyee’s films! स्वतंत्रता दिवस की हार्दिक शुभकामनाये! 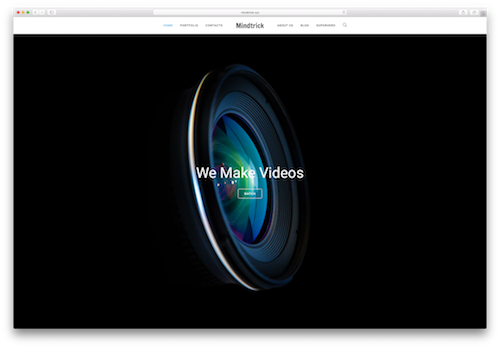 Mindtrick.xyz is a full-service production company that embraces technological advances to produce original short films with artists and international brands alike. They’ve worked with the MIEA, Malaysia Airports, and directly with the Malaysian Government to name a few clients. Mindtrick.xyz has offices in Malaysia’s Cyberjaya district and in London, England. Mindtrick.xyz was another smart .xyz user integrating their domain name into their social media handle on Facebook: https://www.facebook.com/mindtrick.xyz. Check out the Malaysian registrar Shinjiru’s deal below, and visit Mindtrick.xyz for your company’s next video! 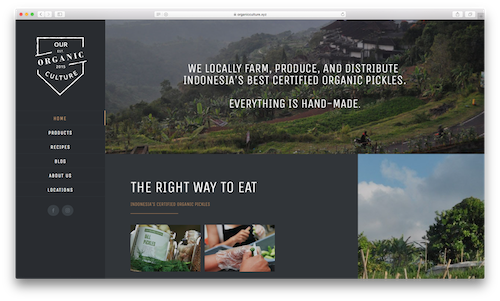 OrganicCulture.xyz is making Indonesia’s tastiest organic pickles. Using traditional pickle recipes from around the world, OrganicCulture.xyz partners with local farmers on the island of Bali to bring delicious, certified non-GMO organic products to an international market. All of OrganicCulture.xyz’s ingredients are locally and seasonally sourced, and every one of their pickles is prepared within hours of picking. Definitely check out their active blog to learn about OrganicCulture.xyz’s adventures in pickling. OrganicCulture.xyz is one of many startups leading Indonesia into a healthier future. Find sales from Indonesia registrars below and visit OrganicCulture.xyz for your new favorite snack! Cititech.xyz offers a CTO-on-demand service for entrepreneurs with big ideas who don’t feel like being tied to co-founders. Made up of a team of technical masterminds ready to help any startup take their project or app from concept to reality, Cititech.xyz allows entrepreneurs without a technical background to pursue any idea. 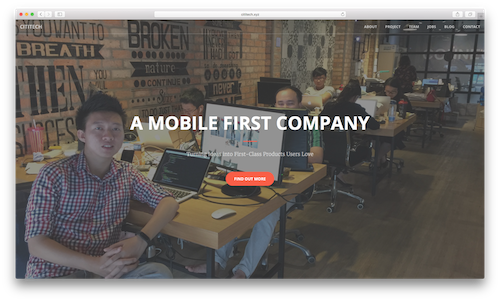 Cititech.xyz has been featured in Inc. Southeast Asia, and counts companies like Womi, GrabHotel, and evaNews as customers. Cititech.xyz liberates its clients from the standard startup model and frees up valuable resources, so startups can stick to what they’re best at. Check out these Vietnamese registrar deals below, and visit Cititech.xyz when your startup needs technical expertise! Ngày Quốc Khánh Việt Nam!